Finally, TECNO Camon CX, the much-anticipated 2017 of camera-focused flagship Android smartphone in the Tecno Camon Cseries has been launched. It is almost a perfect match to what we publish about the device in our last article and really, it is a big upgrade from its predecessor – Tecno Camon C9. The Camon CX (or Tecno Camon C10) is available in 2 variants. The standard variant and a watered down variant called the Tecno Camon Cx Air.Both comes with lots of excitement and mouth-watering specifications, leaving fans with so much to expect. At a time where Infinix phone users are settling down to the Nougat experience via OTA update, Tecno decided to unveil the Camon CX, its first to runs on Android 7.0 out of the box and powered by a MediaTek 1.5GHz octa-core chipset. Product History: With the daily rise of Social Media, more emphasis is now placed on the camera features of a mobile device. Tecno Mobile introduced the Camon Series in 2015 with a major focus on the smartphone camera. Launch Date: Announced March 2017. Camera and photography have always been the strength of the Camon series and with a 16 megapixels camera on the back, the Tecno Camon CX is carrying on with the legacy. Camon CX comes with a smart dual-front-flash system to double the amount of light and brightens the imaging process adequately,136% brighter than the previous model and 30% brighter over a single flash. This means both cameras are bound to be great for photography and selfie enthusiasts. The rear camera features a Ring flash. 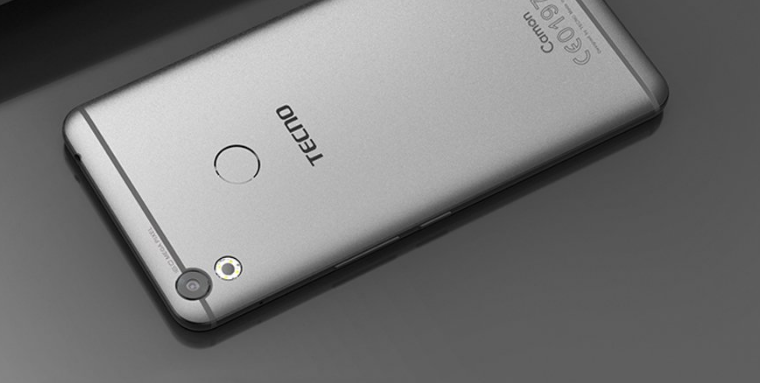 Tecno Camon CX has a fast fingerprint sensor that unlocks your phone in as little as 0.1 seconds. Tecno Camon CX supports 4G LTE on all LTE networks in Nigeria including Glo, MTN, NTel, Etisalat, Smile, and InterC. Tecno Camon CX is not yet available in Nigeria, Ghana, or Kenya. It was launched in Kenya on March 23, 2017. Once available, you can buy the Android phone at leading online stores in the countries. Tecno Camon CX price in Nigeria is expected to range from 70,000 Naira to 120,000 Naira. The Tecno Camon CX Price in Kenya is expected to start at around 19,999 KSh. The Tecno Camon CX has launched in Kenya and expected across other countries in Africa, including Nigeria, Kenya, Ghana, Egypt, Cameroon, Tanzania, Uganda, Rwanda, among others. It will also launch in the United Arab Emirates (UAE). beautiful device… I wish it were more affordable though. When would TECNO release their premium device of the year? That Nougat feature on the CX is just the bomb!